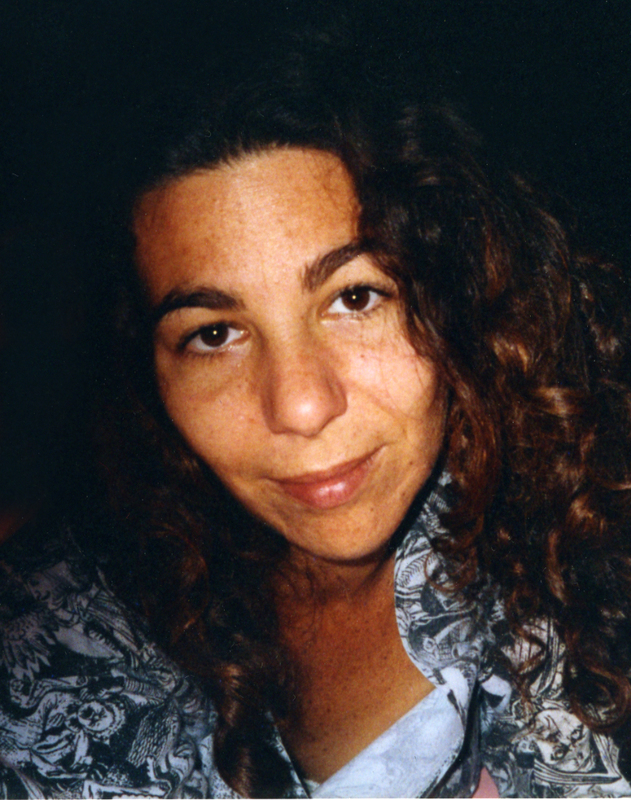 The New York art and music community mourns the loss of one of its fiercest advocates for experimental culture, Suzanne Fiol, founder and director of the ISSUE Project Room, a venue for music, performance, film, and literature currently located at the Old American Can Factory in Gowanus, Brooklyn. She passed away last Monday at age 49 after a year-long battle with lung cancer. Born and raised in New York, Suzanne studied photography at Antioch College in Ohio and the Art Institute of Chicago, before returning home in 1983 to earn her MFA from Pratt Institute, cultivating a style that superimposed layers of paint over her original photos in an attempt to capture the “ecstatic moment” of her subject material. Her career yoked creative pursuits with the business end of the art world. She worked as a gallerist in SoHo while immersing herself in downtown’s No-Wave-tinged culture, where she met her husband, Joaquin Fiol at the Mudd Club. The birth of their daughter, Sarah in 1991, prompted a sabbatical, but after the dissolution of her marriage at the dawn of the 21st century, Suzanne was back on the scene, working with artists and, once again, engaging passionately with music, becoming active in the community that orbited around avant-jazz club Tonic on the Lower East Side. In 2003, her involvement with the Issue Management photo agency, whose office space was on East 6th street, yielded the earliest version of ISSUE Project Room, which quickly took off as an important new venue for the presentation of experimental music and multi-disciplinary performance. When the photo agency folded and the landlord raised the rent, Suzanne fully committed herself to finding ISSUE Project Room a more permanent residence in the borough she called home, Brooklyn, relocating to a disused oil silo overlooking the Gowanus canal. The organization began to garner a unique reputation, implementing a signature 16-channel speaker system designed, built and donated by composer Stephan Moore, which reflected the organization’s commitment to nascent forms. But it was Suzanne’s direct, outsized personality, filled with matronly warmth and elegance that lured artists of both the emerging and established varieties to the industrial no-man’s land of Gowanus. And her generosity was overly evident, from the spreads of wine, cheese, and fruit left for performers and interns to the attitude she held towards what kind of work was expected (“It's called ‘Project Room’ for a reason,” she said to Interview magazine. “It's important to have a space where you can try something new and, if you don't succeed, you don't succeed. I have issues with artists who are afraid of failing”). This nurturing quality once prompted ISSUE’s managing director Zach Layton to publicly introduce Suzanne as “The Mother of Us All,” which made her visibly annoyed. Still, she would jokingly refer to herself as “Mama Issue” and doled out a Jewish matriarch’s helping of affection, protection, and criticism towards those she worked with most intimately. When landlord problems arose at the silo, ISSUE moved to its current home at the Can Factory, but efforts towards a more sustainable model of operation were secured when the organization won a competition against over 100 cultural organizations to house its operations in a former Elks Club located in downtown Brooklyn, for a 20-year rent-free lease. Even as Suzanne fought the good fight against a life-draining illness, she worked tirelessly to raise the money needed to move ISSUE into its new digs. And then earlier this year came the news that Brooklyn borough president Marty Markowitz would award ISSUE Project Room $1.1 million to offset moving and construction costs and that Suzanne’s dream for (in her words) a “Carnegie Hall of the avant-garde” would, in fact, become a reality. Suzanne’s ultimate curation was a fundraiser scheduled for last Friday, an interdisciplinary evening to start off with a poetry reading, followed by bands, live cinema, and DJs. So it was with a heavy sadness when, upon news of Suzanne’s death, the event was reimagined as an ad hoc memorial. Hundreds gathered at the Can Factory, outside which a pink neon sign bearing her signature, designed by Nathan Elbogen and Lite Brite Neon Studio, hung above the front door. Inside, videographer Joly MacFie distributed one-inch punk pins donning Suzanne’s most recent portrait, at once warrior-like and glamorous, amongst the crowd. Moments of consolation yielded to the performance at hand. Backed by the frantic drumming of Ryan Sawyer, trapeze artist Suzanne Rogalsky somersaulted through the air, twisting and turning her body with an aggression not normally associated with the form. It was hard to take one’s eyes off the spectacle, in spite of the tragic situation that framed it. The Mother of Us All may not have been there to see it, but boy was her vision thriving.